There are some topics on our message boards that pop up to surprise us, while others follow a pretty predictable cycle. Every year, around the holidays, calls to our helpline and posts on our message boards indicate many family members notice the signs and symptoms of Alzheimer’s disease or advancing dementia. This is especially true of out-of-town family members who don’t see the person with dementia every day; they compare behaviors to previous times — and the difference may be startling. I think that it’s very natural to resent the advice of someone who is less aware of the daily needs of the person with Alzheimer’s and how much work it can take to meet those needs as the disease advances. But what’s harder to do is to accept that these family members are offering caregivers something very valuable – something that they cannot provide for themselves. They are offering perspective. When you’re very close to something and looking at it, you see all the details. You can see the lines and veins in a leaf, for example, only when you’re close to it. You can see the effect of a slight breeze as it meets the leaf and moves it, even slightly. But what you can’t see, is the size of that leaf with respect to the whole tree — or a whole forest. For that perspective, you need some distance. And distance is something that daily caregiving just doesn’t allow. So when the family gets together and someone offers opinions from a more distant viewpoint, it can help to try to see it as information that reflects a different perspective — one that can only be seen clearly when the viewer isn’t too close to the details. And sometimes, that view can even encourage caregivers to take a step back and incorporate additional resources they may not have considered before. For the holidays, a little perspective can be a wonderful gift. 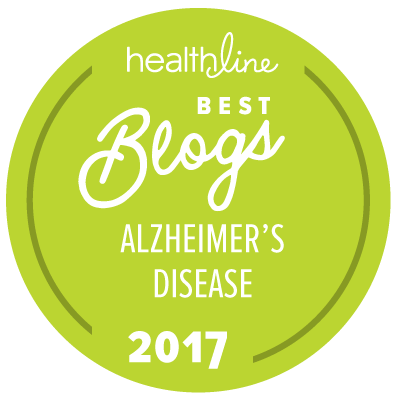 Today’s guest post comes from Ellen Carbonell, LCSW, Associate Director, Family Programs for the Alzheimer’s Association’s national office. Ellen is responsible for developing and producing dementia-related family programs for chapter implementation nationwide, and oversees the caregiver and early-stage support group programs. Trained as a clinical social worker, she has over 30 years of experience working with individual and family programs in mental health, vocational, educational, clergy and voluntary health care settings.